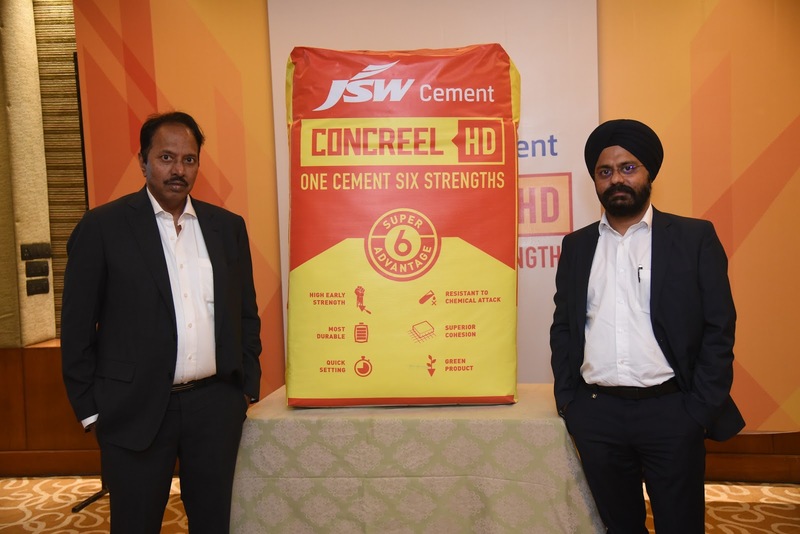 JSW Cement, India’s leading producer of green cement, today announced the launch of an improved version of its flagship cement product ‘Concreel HD’ in Maharashtra. The newly introduced Concreel HD cement comes with an all-new packaging and enhanced properties that improve strength & durability. Concreel HD is a next-generation cement specially designed for all concrete-based construction requirements. Its long-term strength and durability make it ideal for load-bearing structural elements such as beams, columns, slabs, and foundations. Its improved chemical resistance and superior cohesion offer a higher degree of durability and safety. Concreel HD is an eco-friendly cement. “The new product will ride on the success that Concreel Cement has enjoyed in Southern and Eastern parts of India, and we are optimistic that it will create new opportunities for us in the Western regions. We will continue to work towards creating a self-reliant India by manufacturing the building blocks of the Indian development story with world-class cement”said, Mr. Nilesh Narwekar, Chief Executive Officer – JSW Cement Ltd.
About JSW Cement Ltd: JSW Cement Ltd is a part of US$ 13 billion JSW Group, with interests in steel, energy, infrastructure and cement. JSW entered the cement market in 2009 with a vision to ensure a sustainable future for the country by producing eco-friendly cement, using industrial by-products such as slag. Its manufacturing unit at Vijayanagar in Karnataka, Nandyal in Andhra Pradesh, Salboni in West Bengal and Dolvi in Maharashtra utilize slag from steel plants manufacturing units to produce Portland Slag Cement. Through its innovative conversion of industrial by-product into a useful end-product, JSW Cement greatly helps reduce the carbon footprint of the JSW Group. JSW Cement is targeting a manufacturing capacity of 20 MTPA next few years to meet the demands of its customers and the industry.